What the Hell Is Fentanyl, Anyway — and Why Is It Killing Everyone? Federal authorities seized 110 pounds of the synthetic opioid fentanyl at a Philadelphia port last week. The drug was found in a shipment arriving from China, and officials estimate that the stockpile is worth a street value of approximately $1.7 million. This occured only one month after Nebraska state troopers confiscated 118 pounds of fentanyl — apparently, enough to kill more than 26 million people — during a routine traffic stop. The seizure is believed to be the largest in Nebraska history and one of the largest in U.S. history. These massive seizures can be attributed to the fact that fentanyl has become a driving force behind the opioid epidemic over the past few years. A recent study found that fentanyl is actually killing more Americans than either heroin or prescribed painkillers: Of the 42,000 overdose deaths reported in 2016, approximately 19,000 were related to fentanyl, while 15,469 were related to heroin and 17,087 to prescribed opioids. Anyone with even a passing knowledge of current events will be familiar with the substance, since Tom Petty, Prince and Lil Peep were all reported to have died from fentanyl overdoses. But for most of us, a few questions remain: Namely, where this drug came from, and how it’s proving to be so deadly. To this day, fentanyl can be anywhere from 50 to 100 times more powerful than morphine, and 30 to 50 times more powerful than heroin. As such, doctors primarily prescribe the drug — typically in the form of patches, lollipops or dissolvable pills — to cancer patients who are experiencing severe pain and already using opioid painkillers (like morphine) on a regular basis. Fentanyl may also be administered to patients before and after surgery. In more recent years, fentanyl has begun to be illegally manufactured on a large scale for recreational use, since big doses of the drug can induce euphoria and extreme relaxation. This contraband fentanyl is typically cut with other drugs (more on that later), but it can also come in the form of geltabs, nasal sprays and pills, often disguised as popular medications like Xanax or Oxycontin. The simple — and disturbing — answer is that people are taking other drugs that have been laced with fentanyl, which can be deadly in extremely small doses: As little as two milligrams — approximately the size of four grains of salt — is reportedly enough to kill the average adult. We first saw the deadly potential of mixing drugs with fentanyl in 2013, when more than a dozen Rhode Island inhabitants died after overdosing on a batch of fentanyl-laced heroin. Three years later, reports found that nearly a third of U.S. citizens who were declared dead from overdosing on benzodiazepines (like Xanax and Valium) had also ingested fentanyl or a similar synthetic opioid, suggesting that these drugs were cut with fentanyl at some point in time. The number of overdoses in which users are unknowingly taking cocaine laced with fentanyl has risen over recent years as well — and is continuing to increase. In 2017, the DEA told NPR that seven percent of cocaine seized in New England contained fentanyl, which was up from only four percent the previous year. While we can’t be certain as to how (or why) fentanyl is being cut with other drugs, theories abound. Because fentanyl is incredibly potent (and relatively cheap), it’s possible that heroin dealers might be able to get more bang for their buck by cutting their product with the stuff. It’s also possible that some users are deliberately mixing their drugs with fentanyl to increase their high. Yet another possibility is that dealers are accidentally adding fentanyl to the mix — perhaps they forgot to clean the table before cutting batches of multiple different drugs — simply because so much fentanyl is floating around these days. 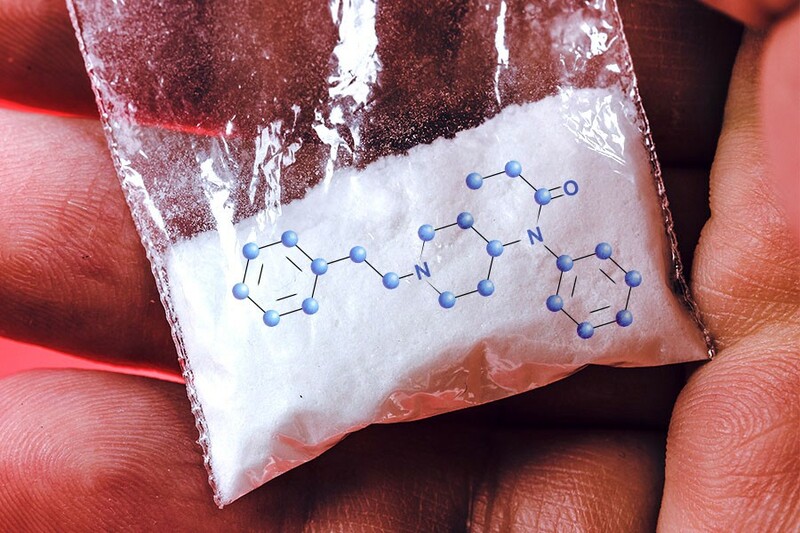 How can recreational drug users be sure to avoid fentanyl? Providing fentanyl test strips to drug users — something California has already begun doing — would seem to be a cheap and easy first step. Increasing the availability of the opioid overdose-reversing drug naloxone (Narcan) would also help reduce the number of deaths resulting from fentanyl overdoses. Then, of course, opening safe-consumption centers, where trained staff can administer naloxone when necessary and offer long-term treatment options, would be ideal. But — and with all due acknowledgment of all the other times the media has freaked out over drug scares — until some of these solutions become more widespread, you may really want to consider easing up on that Saturday-night baggie.